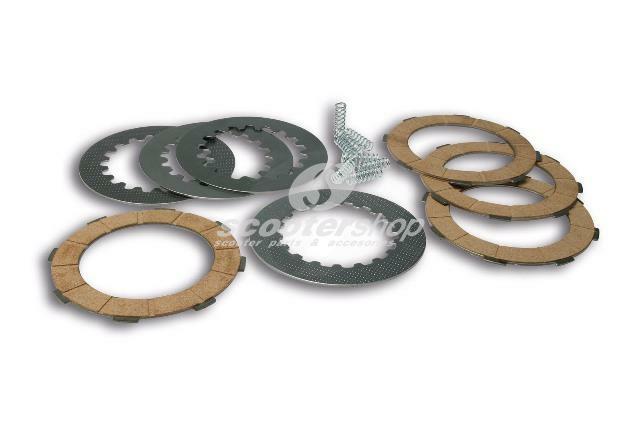 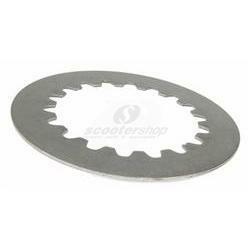 Clutch Friction Plates Malossi for original clutch for Yamaha 500 T-Max from 2004-2011. 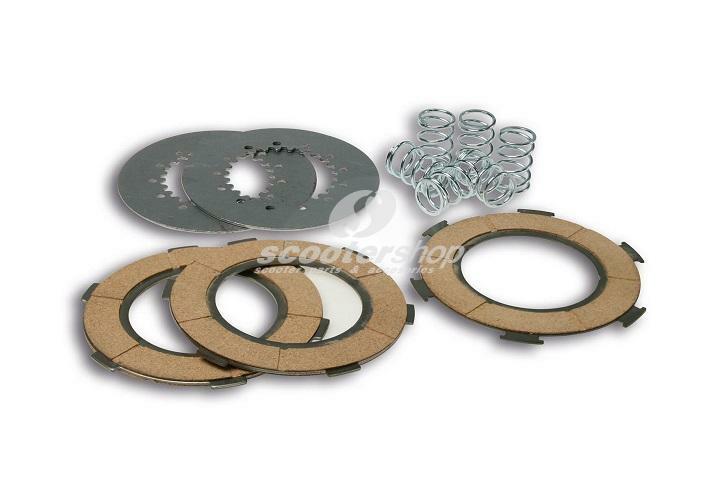 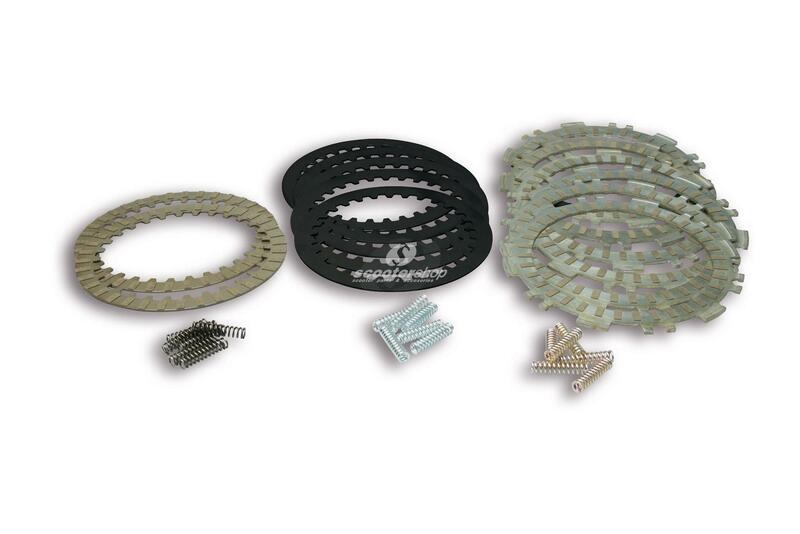 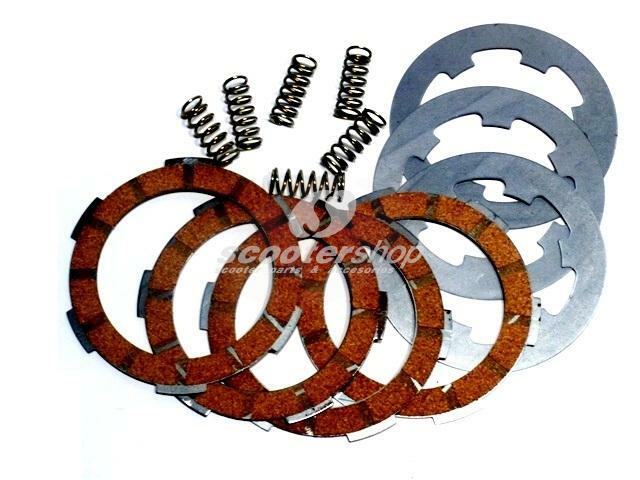 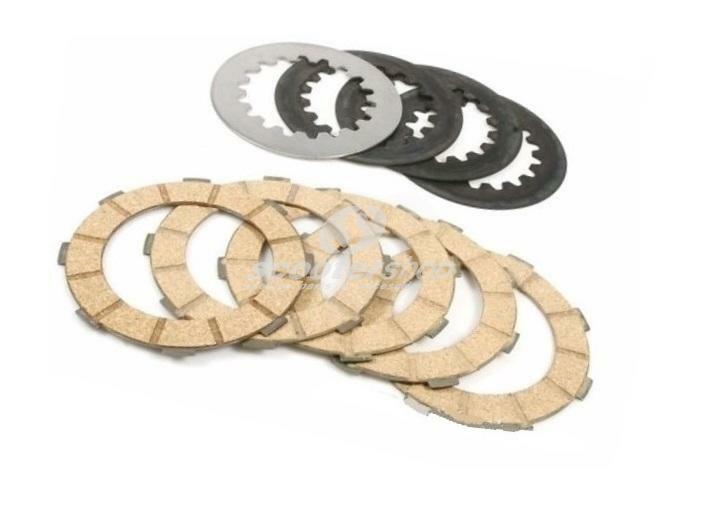 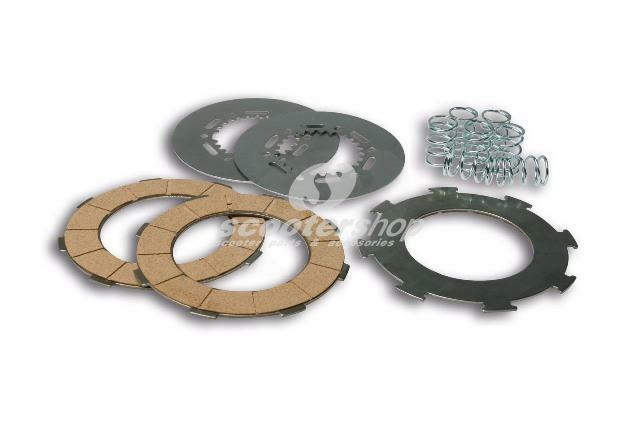 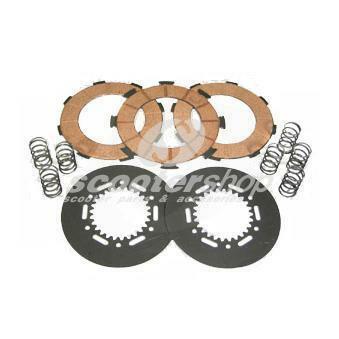 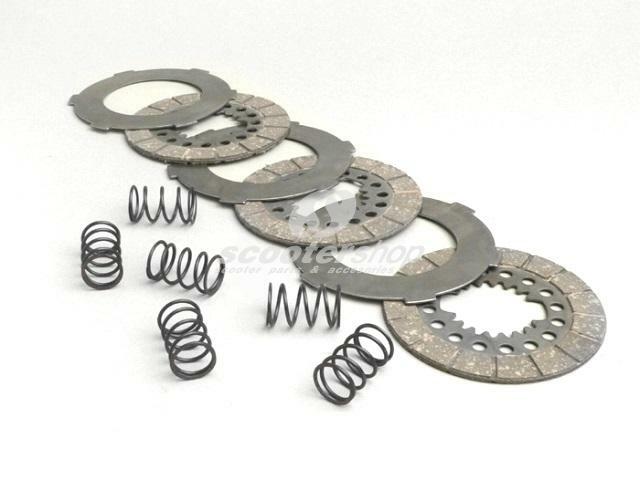 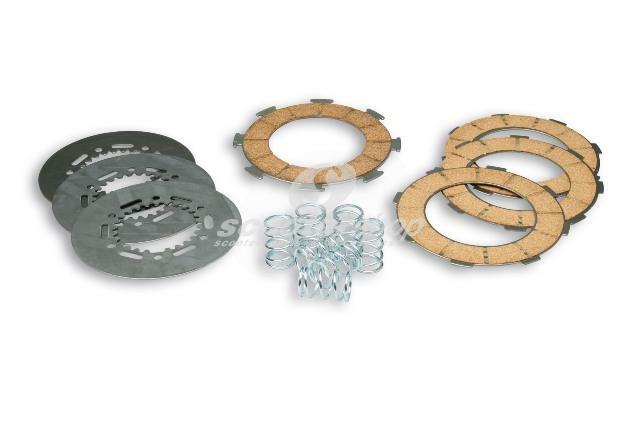 Clutch Friction Plates Malossi for original clutch for Yamaha T Max 530 i.e.- 6 plates, 9 springs, 5 discs. 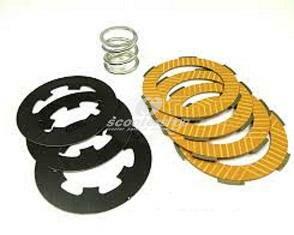 Clutch Friction Plates racing for Vespa PK50 XL FL/HP /XL2/PK125 XL2 4 plates carbon (thickness 1,95mm), 6 reinforced springs,3 discs 0,8mm. 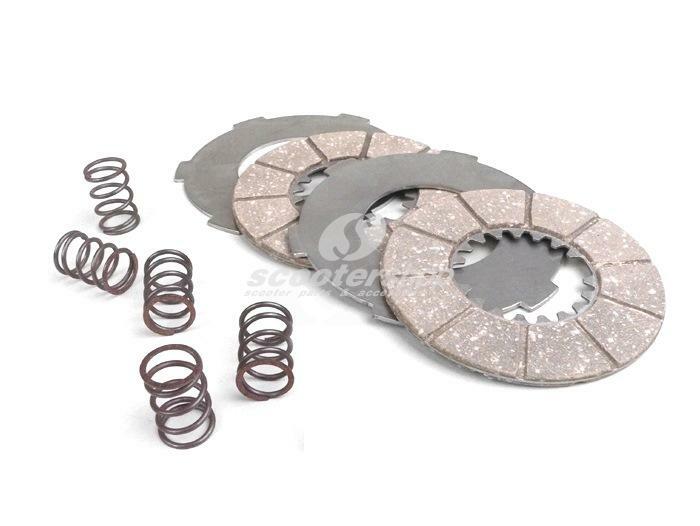 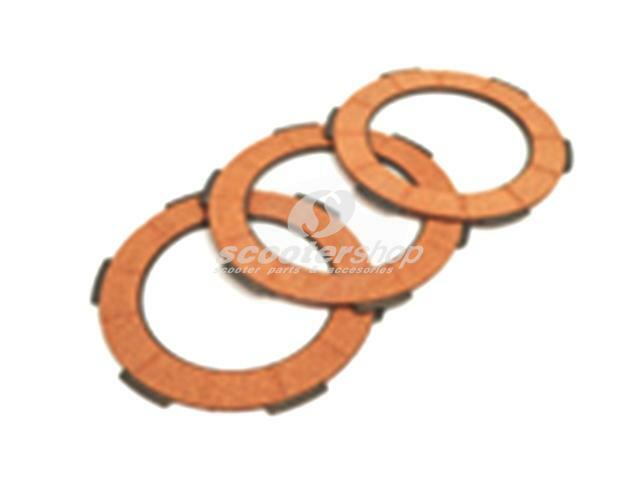 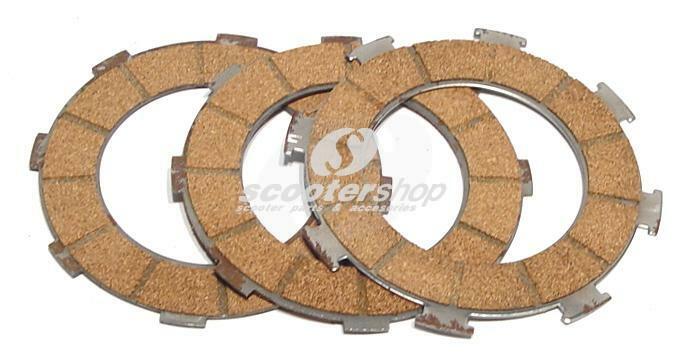 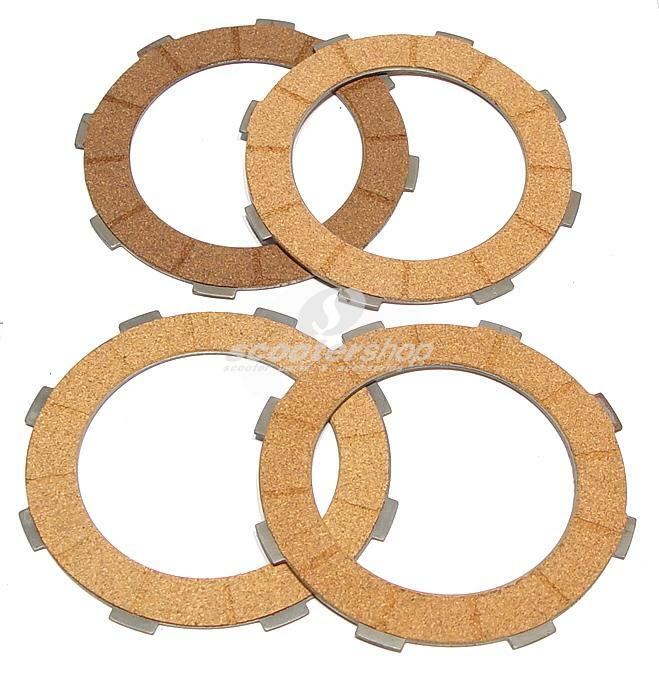 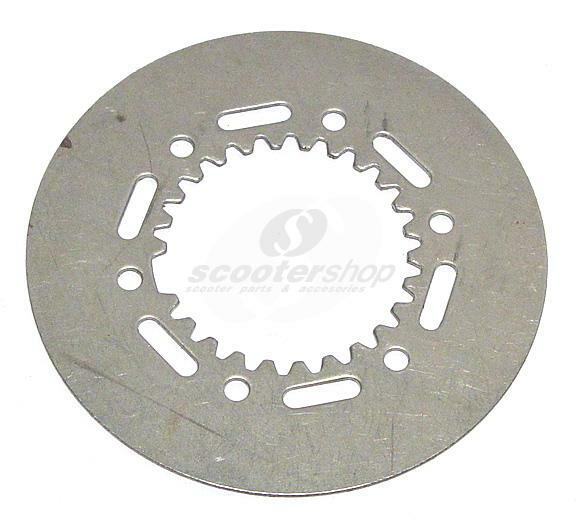 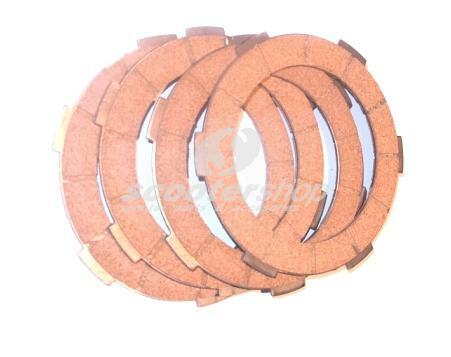 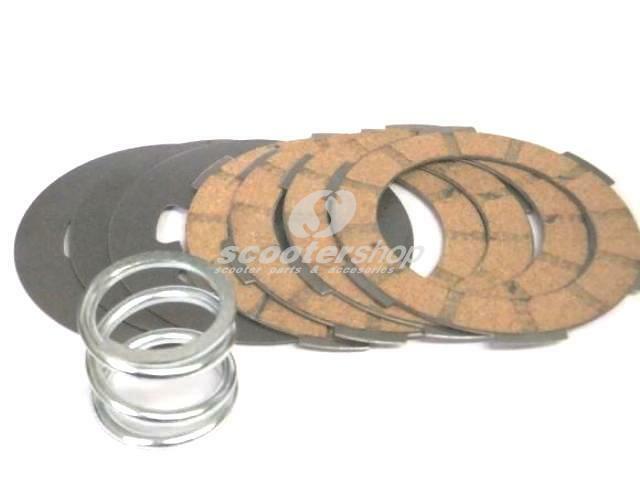 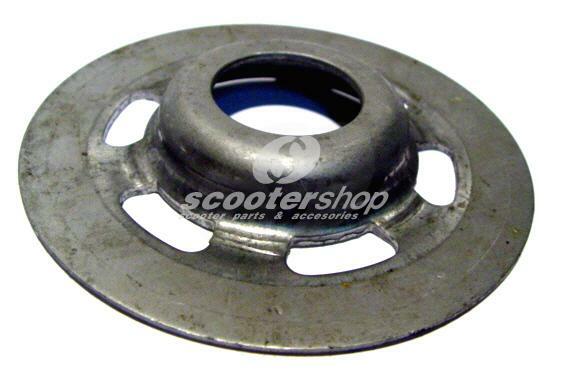 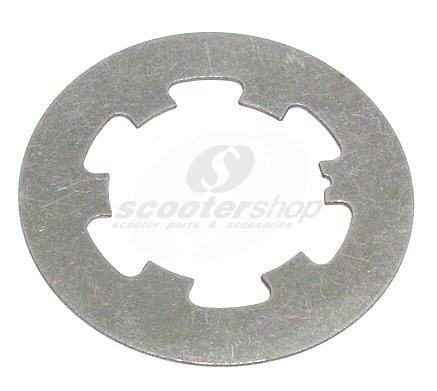 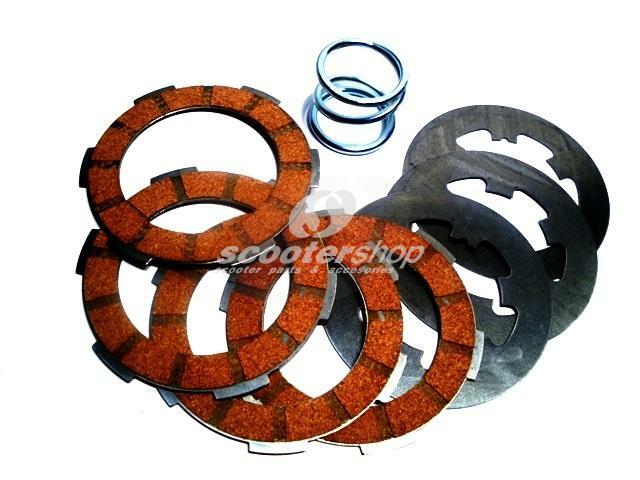 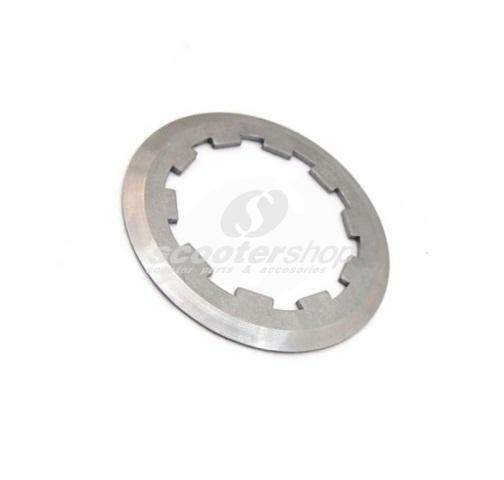 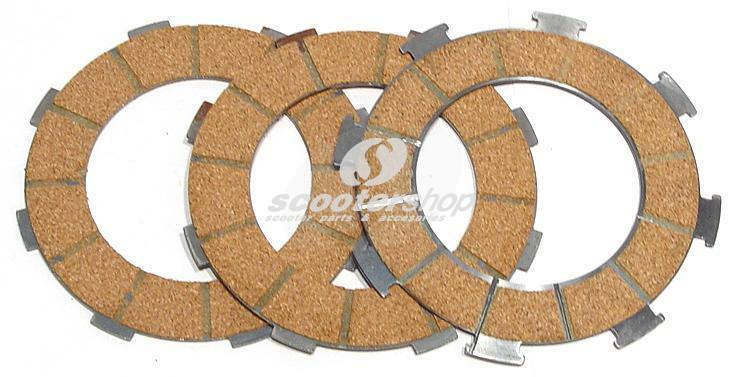 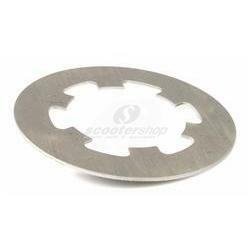 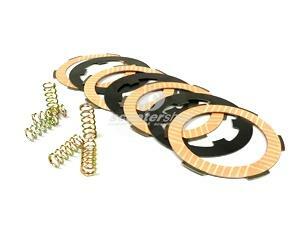 Clutch outer metallic disc for clutch Vespa Rally- PE-PX-T5. 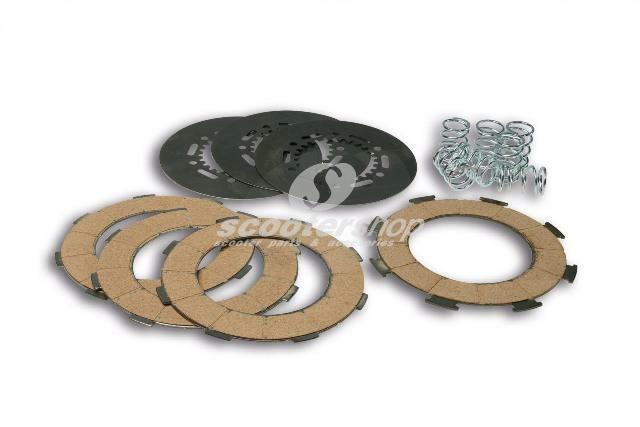 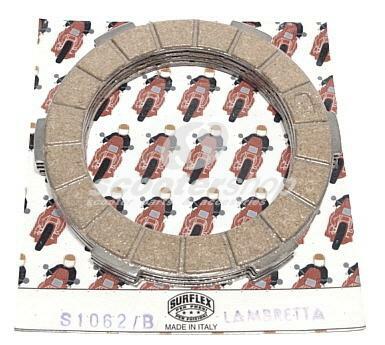 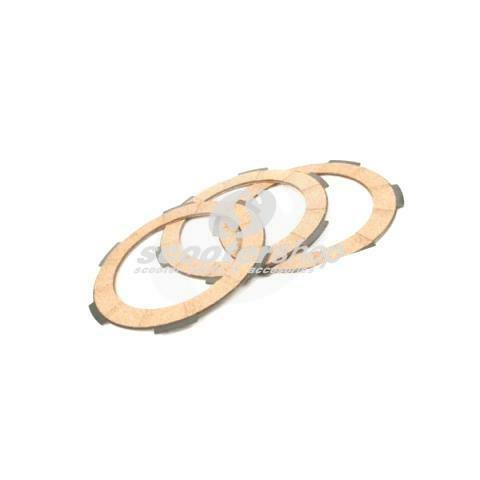 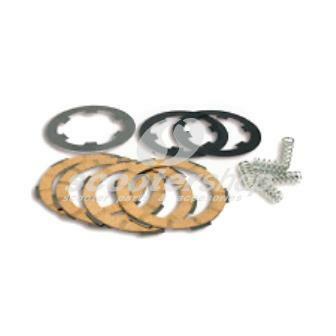 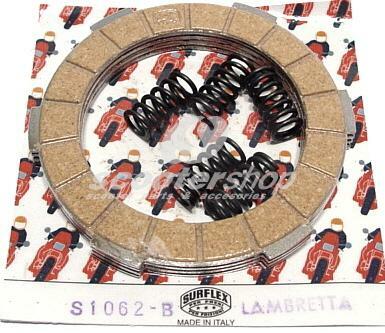 Clutch plates set Fa Italia for Lambetta LI, SX, TV, GP, DL . 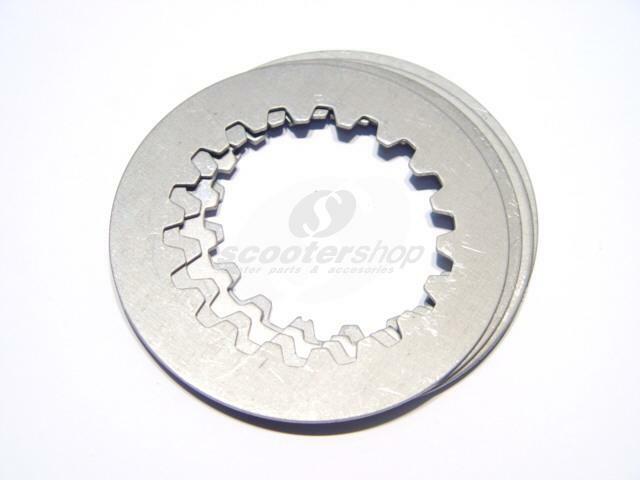 Outer driving metallic disk for clutch for Vespa FL.